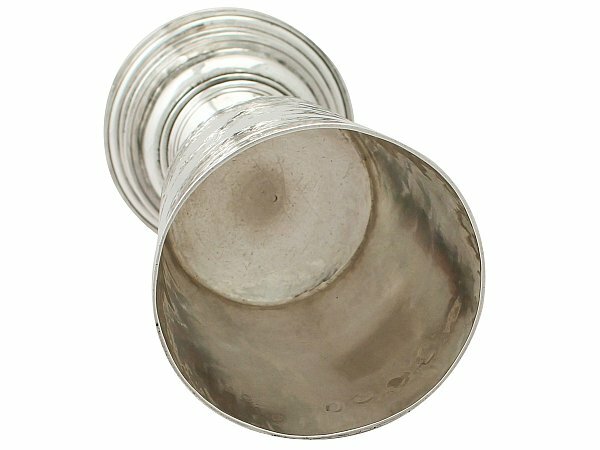 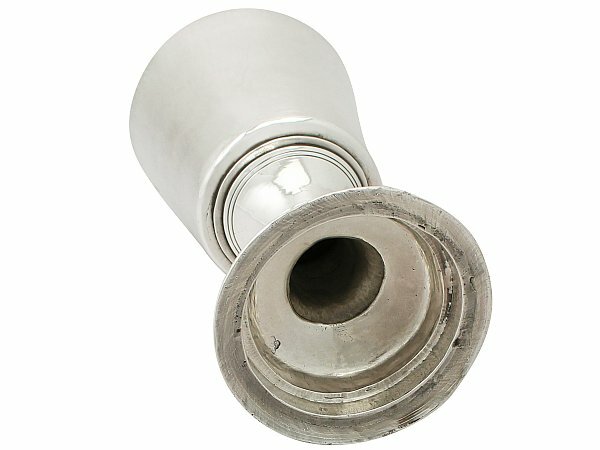 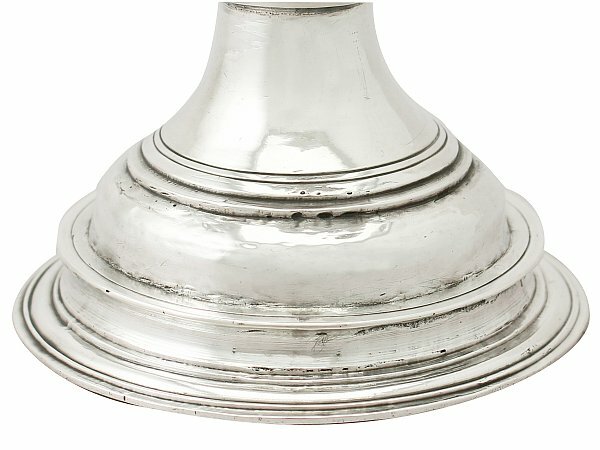 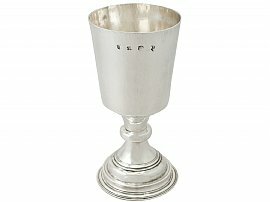 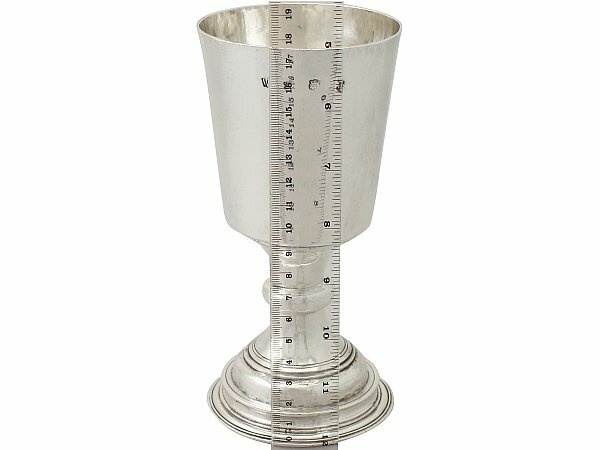 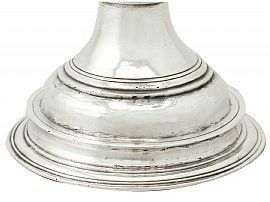 This exceptional antique Charles I sterling silver chalice has a tapering cylindrical bell shaped form onto a circular knopped pedestal and domed circular foot. 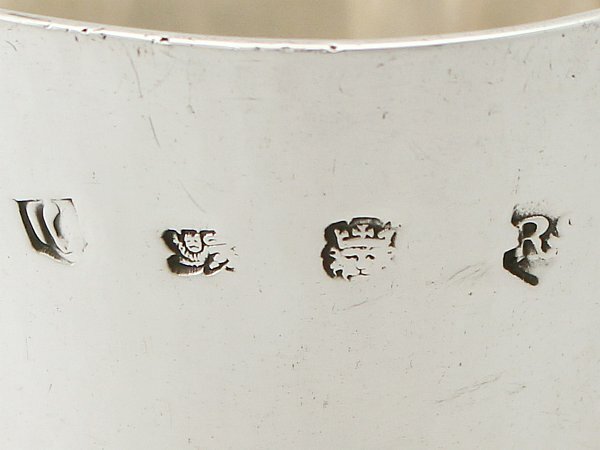 The surface of this chalice is plain and encircled with bands of tooled decoration. 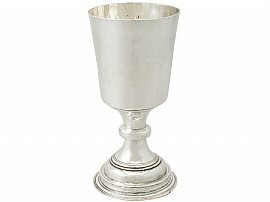 This antique chalice has a fine colour and patination*. 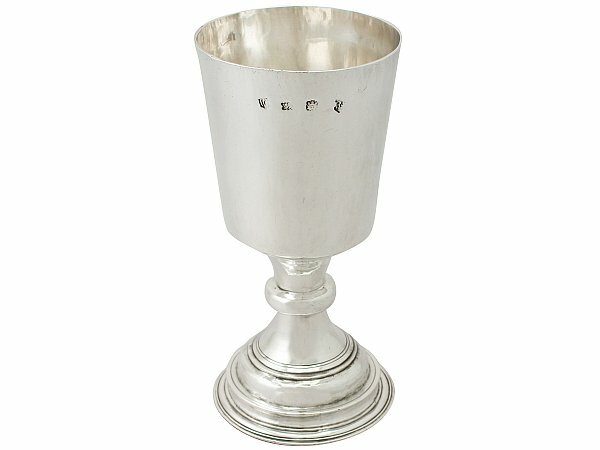 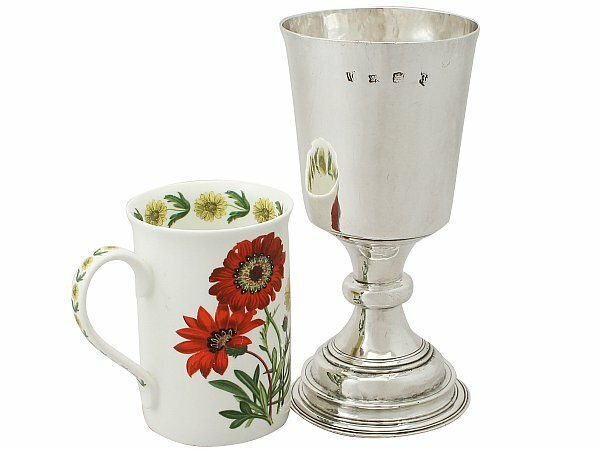 This 17th century chalice is one of the finest of its type you could hope to acquire; early pieces such as this are often crudely crafted and a poor quality, this particular piece however is in exceptional condition. 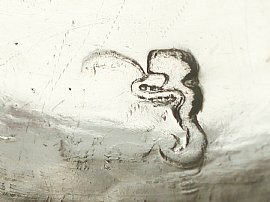 NOTE: After surviving the Great Fire of London the records at the London Assay office were destroyed by fire in 1681; their catalogues and documentation began again in 1697. 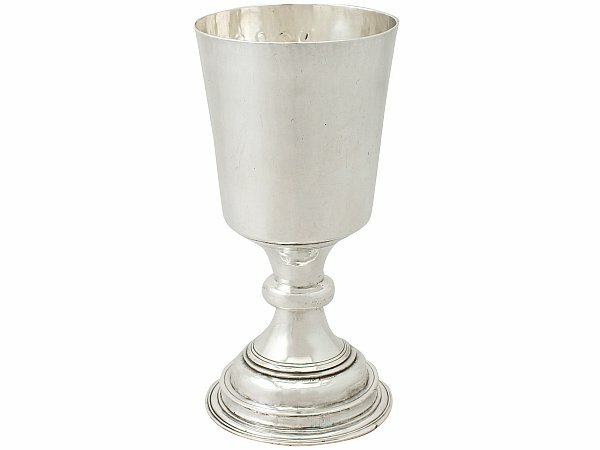 Due to this unfortunate event we are unable to associate a maker to this chalice. 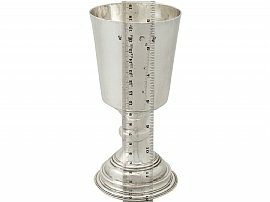 This impressive 17th century sterling silver chalice is an exceptional gauge of silver, exceptional quality and in exceptional condition. 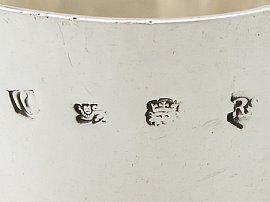 Full hallmarks struck to the surface of the chalice and lion passant to the underside of the foot are all very clear for a piece of this period and have wear in keeping with age.